When I bought my first place I didn’t have two nickles to rub together to make a dime. I needed just $15,000. for the down payment. Just $15,000, and yet I had to scrape and strategize, borrow from my 401K, and pray my first bonus from my new job would come through. I worked so hard that first year – the travel, the 12 – 14 hour days, everyone trying to outwork the next poor guy. I can bring myself back to the good, bad, and the ugly of that time in such vivid detail it’s frightening. Were it not for that experience I would certainly not being doing this. I learned that my tenacity, and resilience provided me with lasting power, long after others had thrown in the towel. 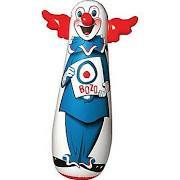 It’s true I sometimes felt like a Bozo Bop Bag, but in the end, Bozo always popped back up with a smile on his face. “Be of good cheer” my father always says, “Be of good cheer, my Beanie.” That’s one of my many nicknames. You can do a lot when you start with Jacqueline, but that’s for another post. Miraculously I was able to secure that first property with that cobbled together down payment. It took me two years to save enough, and to finance the rest, to gut the kitchen and install a new one. Better suited for a museum, the gal that owned the place before me used the dishwasher as a file storage cabinet, and the oven as a shoe closet – please don’t try this in your own home, it’s decidedly inadvisable. 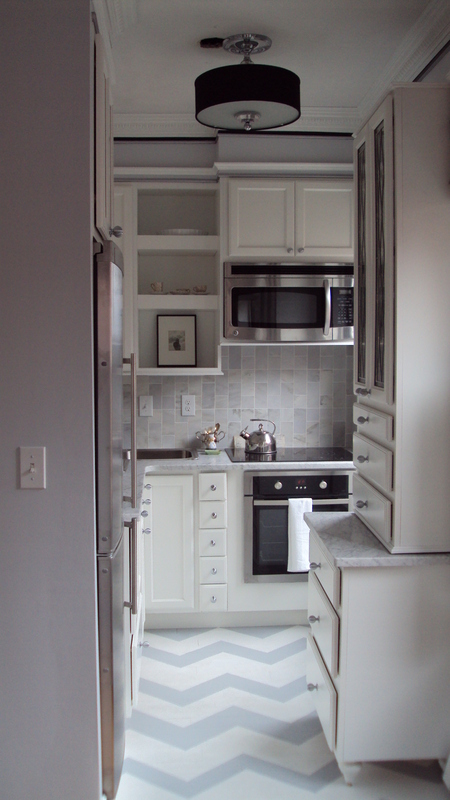 The cabinets were metal, the counter top, and sink a single continuous piece of the same material. It was really quite unique, and absolutely, entirely not me. It could not stay. 47SF – that was the whole kitchen. It did have a window which is both a plus and a minus, as you lose valuable wall space, but gain sunlight. A little sunshine can make a lot of situations better. The sunshine however was not going to change the reality that I needed to fit a lot of stuff into those 47SF and it was going to be a challenge. Every square inch in a kitchen matters, the pairing of cabinetry, appliances, backsplash – every adjacency and point of connection an opportunity for failure. You need to get this right, or that gap between the cabinet and the wall, the tile and the stove, the fridge and the end board will look like a missing tooth staring at you every time you enter the kitchen. Trust me, when that builder is long gone, you’ll be eyeing those deficiencies with deep disdain for the profession. Higher a kitchen designer, even working with someone from Home Depot or IKEA offers much needed expertise, but you must be absolutely diligent about those points of connection. Ask lots of questions about gaps, and be careful of too many “filler” pieces, lest they not get filled, or filled with by less than stellar craftsman. Spend time combing over the details and getting to the heart of what you like and why you like it. 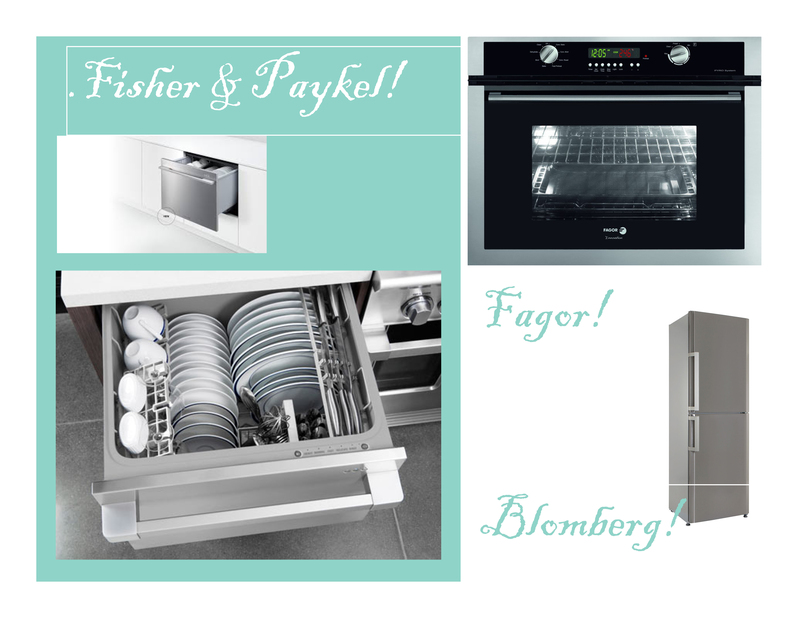 Fagor Cooktop and Stove (Spain). Tune in tomorrow for what I did right, what I did wrong, and the price you pay for not knowing what you don’t know.